We are a full service design & drafting studio based in South Florida with over 20 years of experience collaborating with high-end designers, architects, builders, and custom cabinet shops. Our focus is to provide our clients with concept & design sketches then proceeding into detailed shop drawings. We specialize in all custom built-in & free standing units including: kitchens, pantries, bathroom vanities, fireplace mantles, media rooms, billiards, wall units, wineries and more. Our concept & design phase is perfect for clients starting with a blank floor plan. We'll create a layout that is beautiful and functional! To aid a client visualizing their project we can also provide perspective hand renderings that shows what the finished product would look like after installation. Our shop drawings will include everything you need to start fabrication: floor plan, elevations, section views, and full scale details. 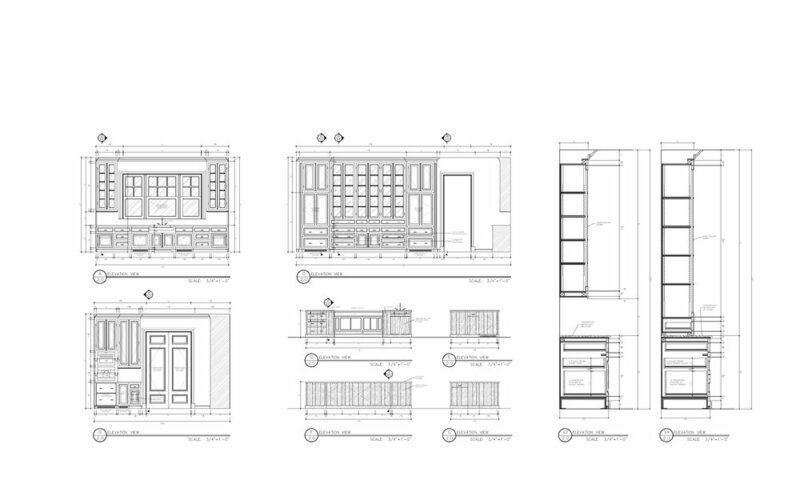 To inquire about our design & drafting services please send us an email with the details of your project. We look forward to collaborating with you and we’ll get back to you shortly!